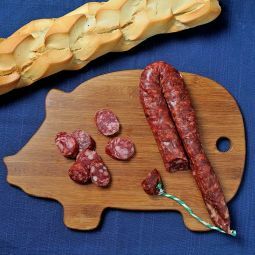 The Wild Pig Salami, known as Salchichon, is an exquisite product with a great taste. 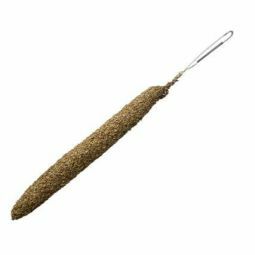 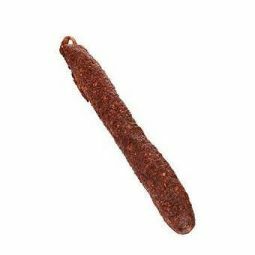 This excellent product is air dried and very juicy with the perfect hint of pepper. 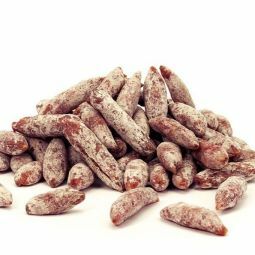 Our Wild Pig Salami, called Salchichon, comes from the Sierra Andujar, Andalusia, and has a great taste thanks to the careful elaboration. 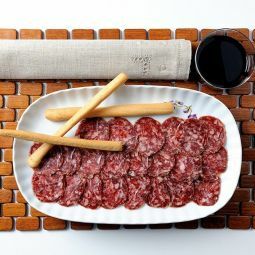 The Wild Pig Salami has a dark red colour with the typical white dots. 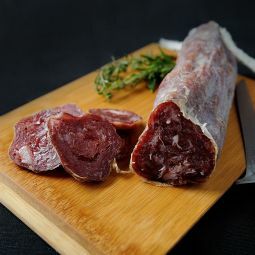 It is air dried and firm and at the same time juicy with an excellent taste and a hint of pepper. 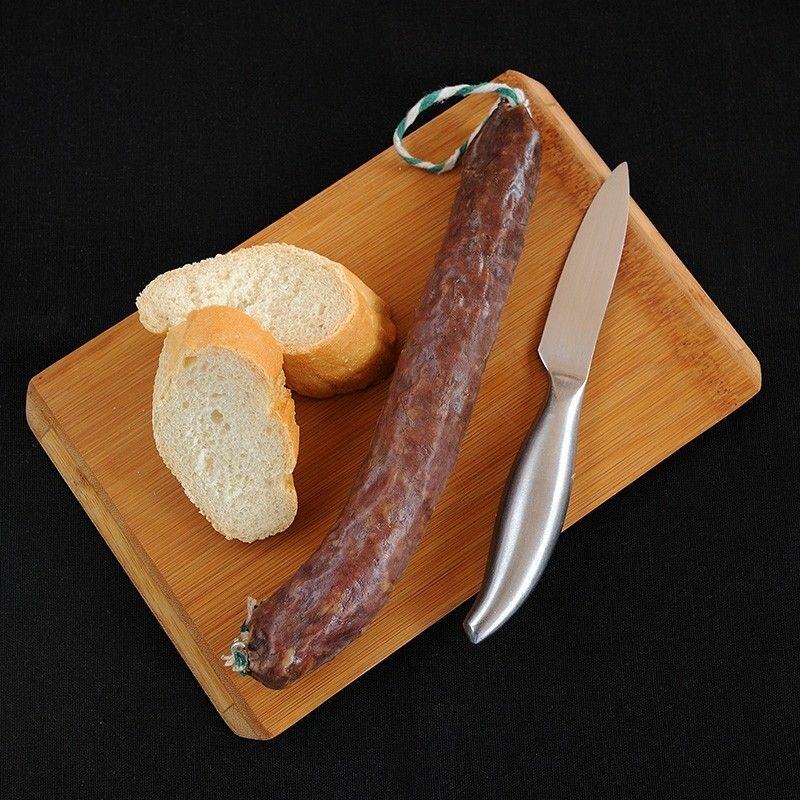 Our Wild Pig Salami is made with the best meats: game meat and Iberian breed pork. 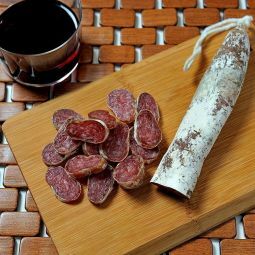 The Wild Pig Salchichon Salami is a perfect snack. 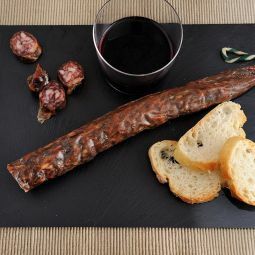 Enjoy it with some bread an olive oil together with a cold beer or a good glass of red wine.